This is a list of the best Dunder Sister Sites – many of these casinos are owned and operated by the Gaming Innovation Group, featuring a huge array of quality slots and casino games, and offering top welcome packages, with free spins and bonuses. Already a member of Dunder and want somewhere new to try? Our list will help you find what you’re looking for. Dive straight in, or read our reviews if you want to know more about each casino, including details of their exciting reward programs, cashier options and customer support service. You’ll find more information on each site on this page too. NOTE – new sites are launching all the time – keep checking back for the latest releases! Rizk is a ground-breaking, innovative and super-slick online casino fronted by super hero Captain Risk. Their generous welcome offer comes with extra spins with no wagering requirement and no win limits. Big Time Gaming, Thunderkick, Quickspin, Play n Go, Netent, Microgaming, NextGen, Yggdrasil and more! Manual optional withdrawal lock system – NO REVERSALS! Many discerning slots fans in the UK will be familiar with Dunder Casino, one of Europe’s most trusted and well-known gambling brands from recent years. This Swedish slot site is built on the Gaming Innovation Group platform which is renowned for offering players a superb choice of games across mobile, desktop and tablet, with a wide selection of payment options, reliable customer support and a good choice of bonuses and free spins. Here at The Slot Buzz we know that gamblers like to mix things up and play at different casinos – to change the scenery, or maybe to end a run of bad luck! That’s why we have put together our lists of the best sister sites to help you find new casinos to play at that share the characteristics of your favourite ones whilst offering something new. Our list of the best Dunder Sister Sites does just that. The majority of casinos on this page are owned and operated by Gaming Innovation Group (GIG) or MT Secure Trade, a division of GIG. That means that not only will you be impressed with the range of games on offer, but you will also be familiar with the kind of promotions available at sites like Rizk, Metal Casino and Casino Calzone where there are plenty of rewards and level-ups for those who continue to play regularly. Each of these sites is also licensed by the UK Gambling Commission and the Malta Gaming Authority. We have also recently added a few new casinos to the list that don’t come under the GIG umbrella. 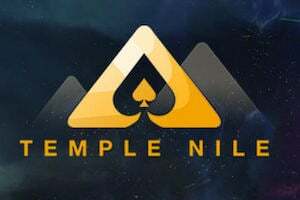 Casinos like Temple Nile, run by White Hat Gaming, and Casino Joy, from Genesis Global, are new, vibrant place to play slots and share all the characteristics of the best GIG sites. They have huge game catalogues – over 1,000 titles on each – as well as offering really generous sign up bonus packages, including plenty of free spins. And they also come with a very good reputation amongst UK gamblers. Like all the casinos featured on The Slot Buzz, the casinos listed on this page have been comprehensively reviewed by our team so that you can learn all about what’s on offer before signing up. You will also be able to note the significant terms and conditions of each site’s welcome package so that you know what you are signing up for – this includes any restrictions on what you can do with winnings from free spins. So, if you’re not sure which site is for you, make sure you click through and read each article before you decide where to play. 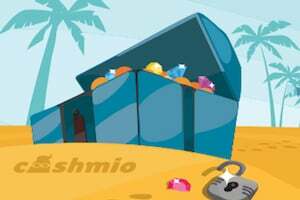 Finally, we suggest browsing similar lists of Casumo Sister Sites, Play OJO Sister Sites and Rizk Sister sites if you’re looking for more options. And remember, have fun and gamble safely!